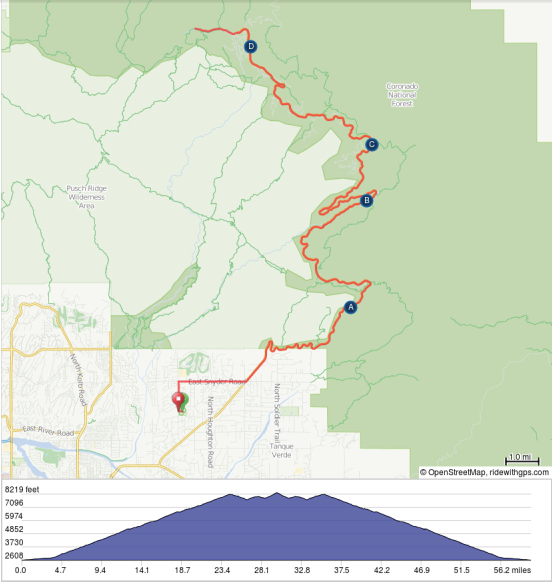 Mt Lemmon Hill Climb - Greater Arizona Bicycling Association, Inc. But because the road is so long, it's also very forgiving: the grade averages only 4.5% for 6600 feet of elevation gain over the 56-mile round trip, and the almost continuous 21-mile descent at the end is exciting without ever being terrifying. 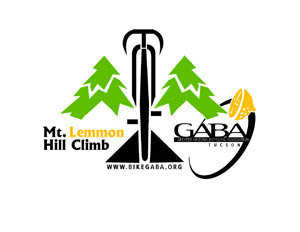 If you haven't ridden the Lemmon in a while (or ever), GABA can help make it easy. You can minimize the weight in your pockets because we provide four SAG stops, about six miles apart, with fluids, munchies, and healthy carbs. In honor of the pie shop that once operated in Summerhaven near the summit, the uppermost SAG will serve a variety of pies. You can also opt to buy yourself lunch at the restaurants in Summerhaven or Ski Valley at the top. In case something goes wrong, GABA provides vehicular sweep support to help with mechanical problems or provide a lift. If you're not interested in "easy", GABA can help with that, too. Round up a posse of your riding buddies, see how fast you can fly to the top, and enjoy a social stop to eat pie and swap lies before you charge back down. Pima County Department of Transportation has required the Greater Arizona Bicycle Association to implement a “staged release”, no more than 5 riders at a time, from McDonald Park parking lot for all riders in large groups to the base of Catalina Hwy. Please be patient with our volunteers implementing this request from Pima County Department of Transportation. You must present your GABA membership card for the member rate. Membership card is available at on the GABA ClubExpress site - simply login and go to your profile page. Fees payable by cash, check, or credit card. Attention ABC/PMBC Members: Before registering, email Supported Rides at supportedrides@bikegaba.org with your name, email address and cell phone number and we will add you to our data base. Once we do this, you will be notified of a temporary login and password that you an choose to update and then log in to register for the ride. There will be no need for a discount coupon at this point. We’ll send emails to registered riders the Thursday prior to ride with updates, so be sure to register with a working email address. If you do not see the GABA Welcome email by the day before the ride, please check your spam/junk folder. Online registration closes at 10 pm on Wednesday prior to the ride. If paying on the day of the event, you must bring your membership card which can be printed out from the website once you log in or you will be charged the non-member rate. You can pay your fees either with a check, cash or credit card. The fee covers all SAG food, to include a great assortment of Pies at SAG 4, as well as supplies and volunteers. GABA also provides financial support and volunteers for various other bicycling activities and organizations. 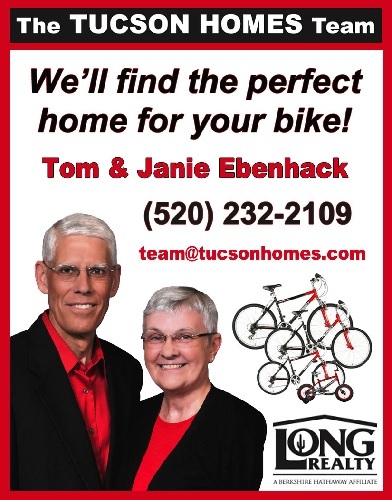 Among these activities and organizations are the Tucson Bicycle Classic, Perimeter Bicycling Association of America, Bicycle Inter-community Art and Salvage (BICAS), El Grupo, Boys and Girls Club, Camp Abilities, The U of A Cycling Team, Ride on Tucson, Cyclovia, and the Pueblo High School Cycling Team. To have successful rides, we need members to volunteer to help with check-in/registration before the ride, operate a SAG stop, or drive a sweep vehicle to help cyclists. Learn more at the following locations; Volunteering and to sign up to volunteer at Volunteer Opportunities and send questions to our Volunteer Coordinator, Susan Reed via volunteer@bikegaba.org. Go to the More Information Page for ride specific details and if you still have questions, ask us in the member-only GABA Forum Discussions and if that doesn't work, reach out directly via email to supportedrides@bikegaba.org. See GABA's Cancellation Policy at the bottom of the Registration Page.